R2d2 is selfish. It propagates itself through generations but not for some evolutionary advantage. Quite the opposite. Researchers studying the gene say it can spread quickly through mouse populations, in spite of the fact that some copies of the gene (called alleles) cause females to have fewer offspring. These findings violate a key principle in biology: Darwin’s theory of natural selection, which suggests that alleles beneficial to an organism’s ability to survive and reproduce—its fitness—will increase steadily in frequency over time. Meanwhile, alleles that are detrimental to fitness will decrease in frequency and eventually disappear. As a beneficial allele rises in frequency, it eventually crowds out all other alleles in a process called a “selective sweep.” A famous evolutionary example in humans is an allele of the lactase gene that makes it possible for adults to digest milk. Over the past 4,000 years, this allele has risen to high frequency among people that practice pastoral agriculture, but remains rare in other parts of the world. The patterns left behind by a typical selective sweep are valuable tools for learning about which genetic changes are beneficial during evolution. But Fernando Pardo-Manuel de Villena says the R2d2 result suggests that caution is required when working backwards from a selective sweep to a hypothesis about a beneficial trait. “The ‘selfish sweep’ at R2d2 looks just like a typical selective sweep but has nothing to do with adaptation,” says Pardo-Manuel de Villena, a professor of genetics at the University of North Carolina at Chapel Hill and senior author of a paper published in the journal Molecular Biology and Evolution. How does R2d2 escape natural selection? The gene does it by cheating at female meiosis, the specialized type of cell division that produces eggs. Most animals and plants, including humans and mice, carry two alleles of every gene—one allele from each parent. When an organism reproduces, it passes along only one allele to each offspring. The “law of segregation,” posited by Gregor Mendel in 1865, suggests that there is an equal probability of transmission of either a maternal allele or paternal allele. But in a previous paper, published in PLOS Genetics in 2015, Pardo-Manuel de Villena’s team showed that some alleles of R2d2 distort meiosis to promote their own transmission to offspring in a process called meiotic drive. This advantage comes with a cost. The findings have implications in fields from basic biology to agriculture and human health. “Exceptions to fundamental rules of biology are always important to study,” says Pardo-Manuel de Villena. 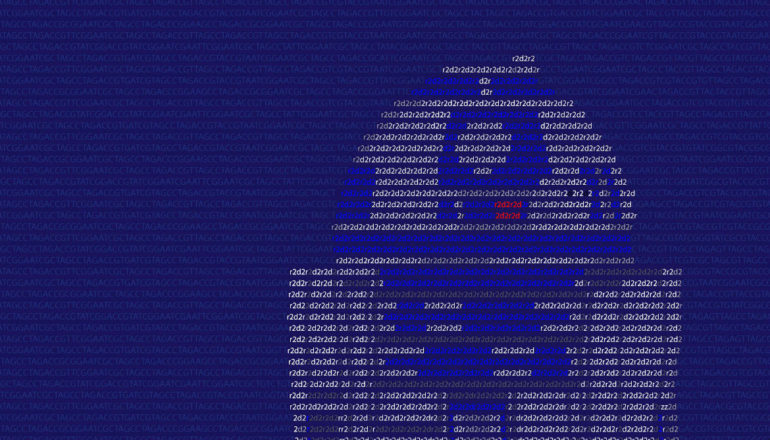 And, he adds, R2d2 has unique features that make it a promising system for studying how chromosomes are transmitted to offspring. A second, more practical application is the possibility that R2d2 or its components could be used in “gene drives.” A gene drive involves a selfish gene that pushes a second gene—usually one that causes sterility—through a population. Gene drives have potential for the control of invasive species and vectors for human diseases, such as mice, rats, and mosquitos.